VERSATILE PERFORMANCE FEATURING THE BEST VALUE IN THE INDUSTRY! 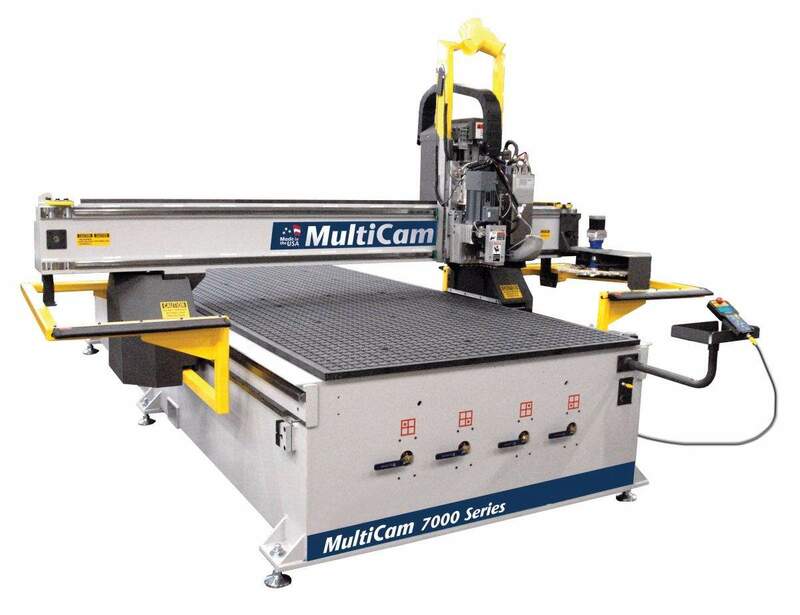 MultiCam manufactures a variety of space-saving moving gantry CNC routers. Each series is available in various sizes to meet your specific application requirements. Add-on options include high-frequency spindles, tool changers, gang drills, vacuum tables, aggregate heads, saws, knives, and much more. 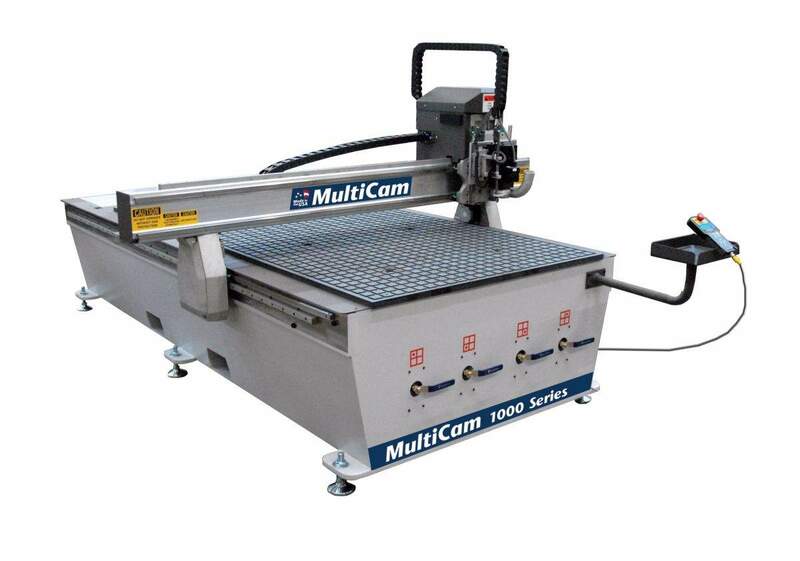 Regardless of the type of cutting you need done, Multicam has a CNC router that makes a perfect fit (and cut). With repeatability of just 1/1000th of an inch, you get an accurate cut every single time. Every router comes with customizable options, with the 7000 and 3000 having the most customizability. The 7000 series allows you to cut the largest pieces, while the 5000, 3000, and 1000 come in smaller sizes better fit for smaller production facilities. Various series fit a broad range of applications, which includes the 7000’s ability to cut plastics and non-ferrous metals, the 3000’s strength for marine fabrication, the 1000’s fit for aluminum fabrication, and the V-Series’ fit for aerospace applications and 3D carving. Some series (the 8000, 7000, 5000, and 3000) have higher power, cut speeds, and rapid traverse speeds for fast and efficient cutting. Other series, like the 1000 and V-series, have slower cutting speeds that allow for greater precision. All routers come loaded with Multicam’s proprietary, and easy-to-use software, so it’ll be simple to start cutting with extreme precision right away. With more than 12,000 CNC machines installed worldwide since our founding in 1989, you’re sure to find the perfect CNC router for your needs. Every CNC router is built in the USA, so you know you get high-quality and durable routers that consistently perform exactly the way you need. Boost profits and produce accurate parts without accumulating waste, excess labor, and extended lead times – that’s our mission behind automating the cutting process. By providing you with the best CNC value and customer service in the industry, we support your company’s success 100%. With 60 Regional Technology Centers around the world, you can find a MultiCam spare parts inventory and factory-certified technicians near you for exceptional post-sale training, service, and application troubleshooting.